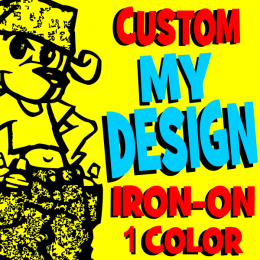 Custom Iron-on Transfers of Your 1 Color Designs. 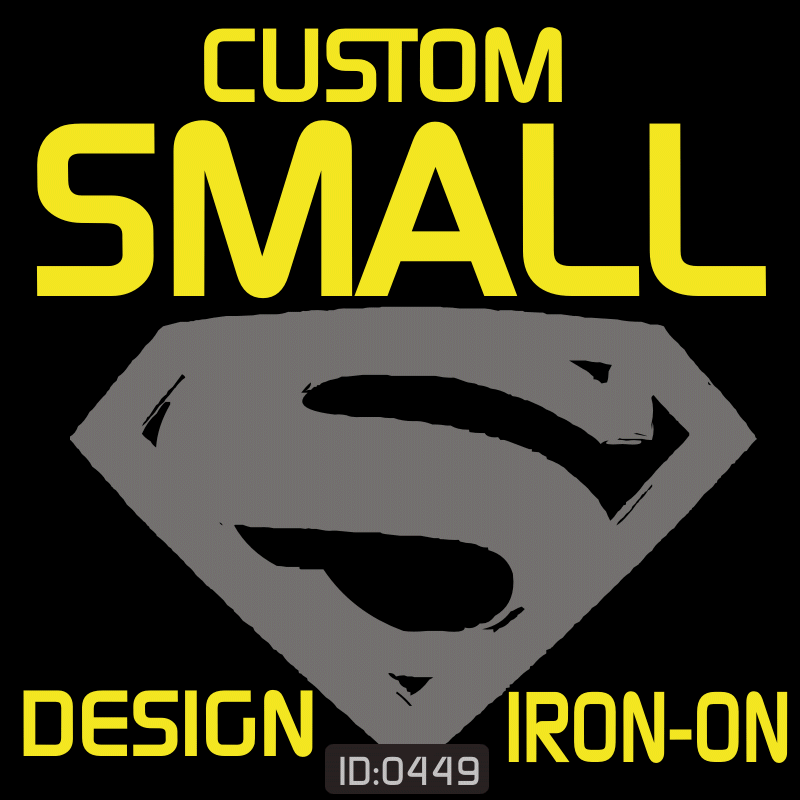 Custom made Tiny Small size Flex iron-on transfer of Your 1 COLOR Design, Logo or Text Words come ready to apply yourself on your own t-shirts or other textile items with Home Iron or Heat Press. Your 1 COLOR Custom made Tiny Small size Flex Design is made in 1 Color, you choose the color from our 28 Colors selection, print on all fabric colors, content cotton, polyeste and blend, durable and washable. 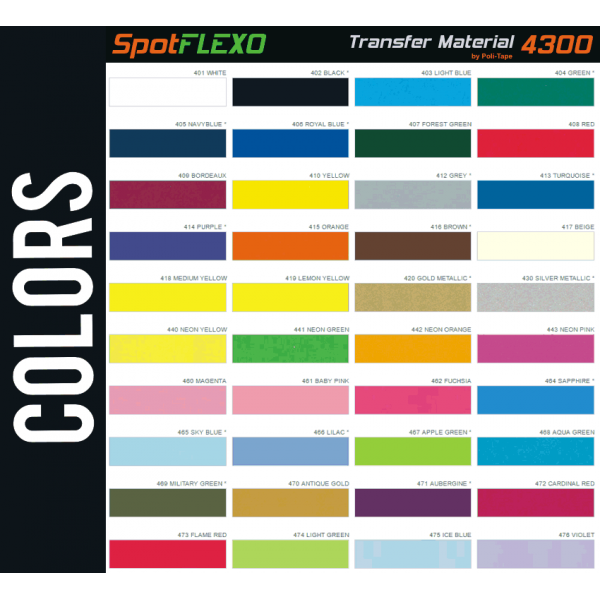 After printed it is soft to the touch with matt finish. 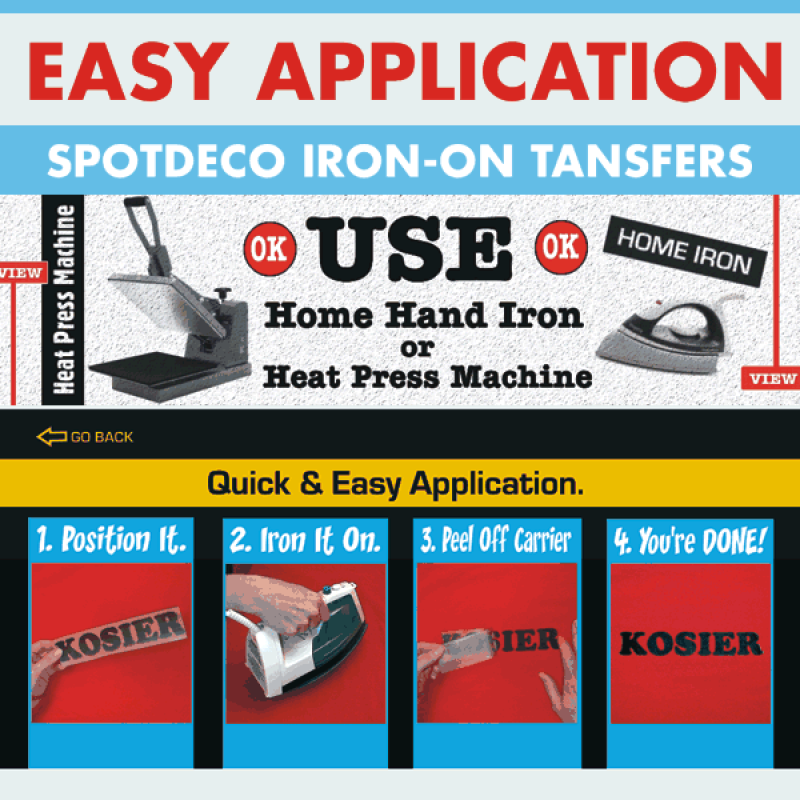 More about Spot Flex Iron-on Transfers. 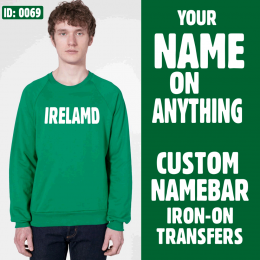 Send your designs via email or File Upload after checkout. Artwork minimum line and space size 40pt. More info about Preparing Your Design.